Astringent, Anti-bacterial & anti-fungal cream for horses. Powerful anti-bacterial and antifungal activity. Strong astringent and germicidal action. Safe, effective and easy first aid for all skin damage and infections. Smooth, easy to apply zinc cream base. Protects a wide variety of wounds and abrasions. Controls infection of skin wounds. Protects skin wounds whilst simultaneously encouraging healing. For use on a wide variety of skin ailments including minor skin wounds, rope burns, greasy heel, rain scald, mud fever and skin irritations associated with girth galls and cracked heels. Able to be used in conjunction with Ranvet Dermaguard Wash to control fungal infections in horses and camels. Clean dirt or dried discharge from the area of application. 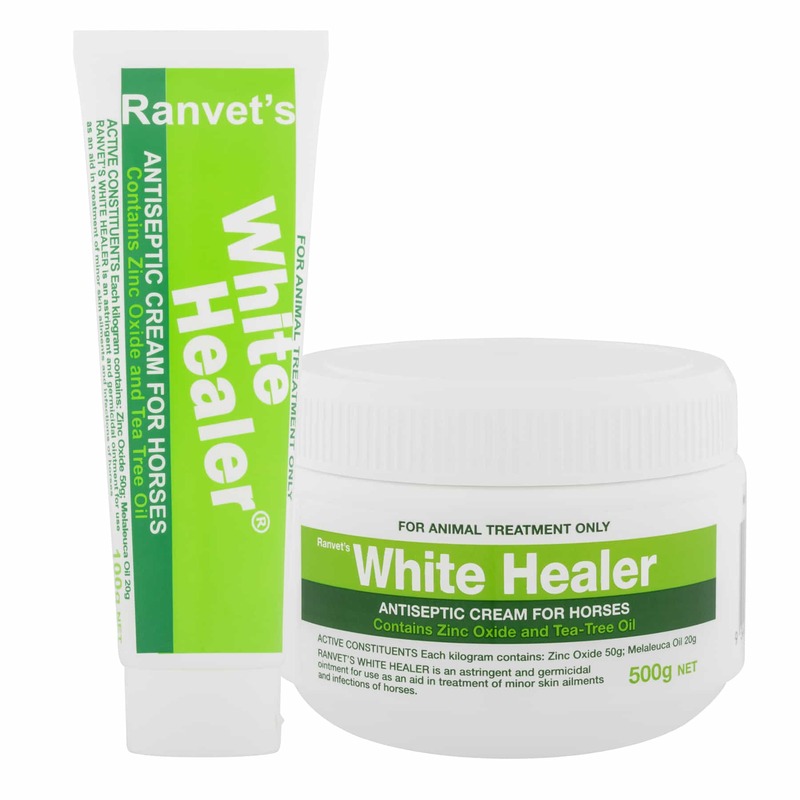 Apply Ranvet White Healer liberally to the affected area once or twice daily until the condition is resolved.